Protect your living investment with an affordable monthly packagedesigned with you in mind. With packages starting as low as $50.00/month how can you go wrong!!! This is our most popular package takes care of everything so you don’t have to. Just sit back, relax and enjoy! This package is designed for the individual that doesn’t mind getting their hands a bit wet. Doing a little work between our regularly scheduled bi-weekly visits will be necessary to keep your aquarium in tip top shape. Designed for the hobbyist that appreciates an incomparable professional cleaning once in a while. Designed for individuals that don’t like to commit to a contracted cleaning program. 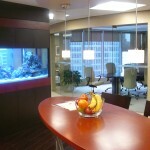 However you can still acquire and appreciate a professional clean, especially when company comes to visit. 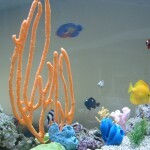 Aquarium Effects aquarium consultation is designed for the advanced aquarist that wants to make sure they are on the right path for a healthy and successful aquarium for the years to come. We will come to your home or business to discuss any problems you may be encountering with your freshwater or saltwater masterpiece. 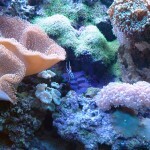 We encounter such topics as coral growth, fish mortality, fish and coral disease, trace element supplementation, inhabitant identification/unwanted guests in the aquarium and also fish and coral compatibility for easy placement into the aquarium. Many aquarists also use our consultation before purchasing any high priced aquarium items such as ozonizers, ultra violet sterilizers and lighting. 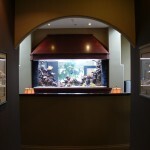 We will let you know what is truly needed to maintain your aquarium to the highest degree of beauty and success. Too many times we have seen high priced items unnecessarily purchased from retail establishments that are of little or no use to your aquarium. At times these expensive filtration and electrical additions can do more harm than good. We can save you money!!! 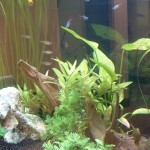 Have an Aquarium Effects associate help you with honest and professional advice.